In April I traveled to Bali, Indonesia for the 7th Regional Environmentally Sustainable Transport (EST) Forum in Asia, organized by the UN Centre for Regional Development, and the Environmental Ministries of Japan and Indonesia. Bali, the Island of the Gods as it is known by the locals, is famous for its beaches, its surf, its rice fields, its fisheries, its hospitality… and its conference venues. Many UN or other large-scale conferences are organized on the island. While I was in Bali for work, I did take the opportunity to extend a few extra days and can indeed vouch that Bali lives up to its reputation. I went on a fantastic inter-island bicycle ride with Halo Cycle Tours through terraced rice fields, tasted local organic coffee, dined next to volcanoes, shared a Balinese meal with a local family in their beautiful home and visited ancient sea cliff temples. 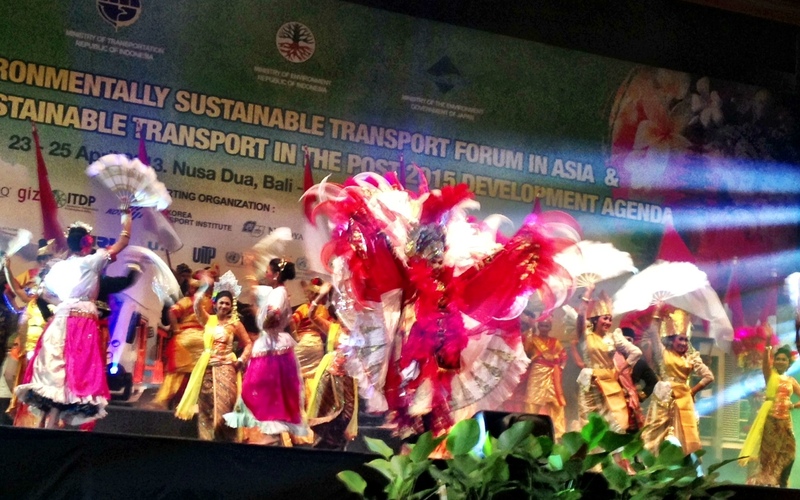 Directly following the EST Forum was the Global Consultation on Sustainable Transport in the Post-2015 Development Agenda. This consultation was part of a series of meetings in early 2013 on various topics (e.g. transport, health, population, water, biodiversity, education) to discuss a set of priorities agreed to at the UN Conference on Sustainable Development in Rio in June 2012 (Rio+20). In September 2013, heads of governments will meet at UN headquarters in New York to evaluate the former Millennium Development Goals (MDGs) and establish a new set of goals – the Sustainable Development Goals (SDGs). At the Consultation, participants discussed the possibility of a transport-related SDG or to combine transport with relevant sectors, for example: access to safe clean and affordable access to energy, transport and water for all. Interested in the meeting? Check our report, via IISD Reporting Services. Consequently, the timing of this meeting was crucial. More than just UN decision-making procedures though, a week in Bali presents an equally pertinent issue to address: traffic. 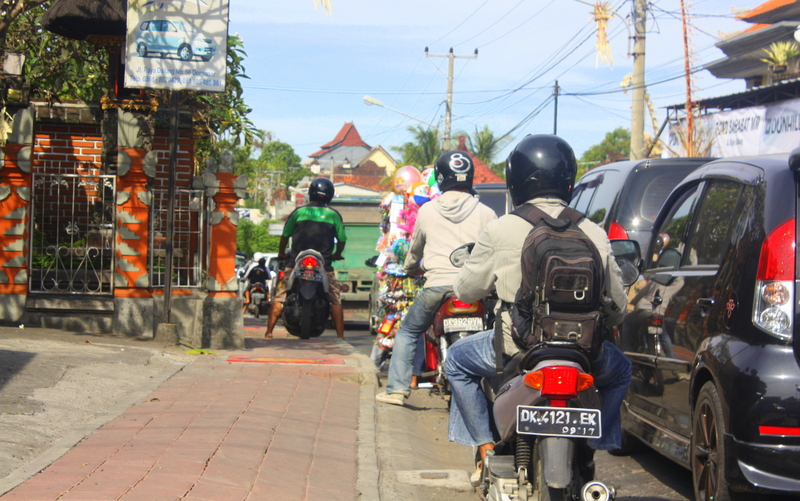 Bali has some of the worst traffic I have ever encountered. Unfortunately, this is not a uniquely Balinese experience. All across Asia, as income levels rise, so does personal mobility. And while mobility in and of itself is a good thing, it is the method of mobility that requires action – the Balinese love their motorcycles. 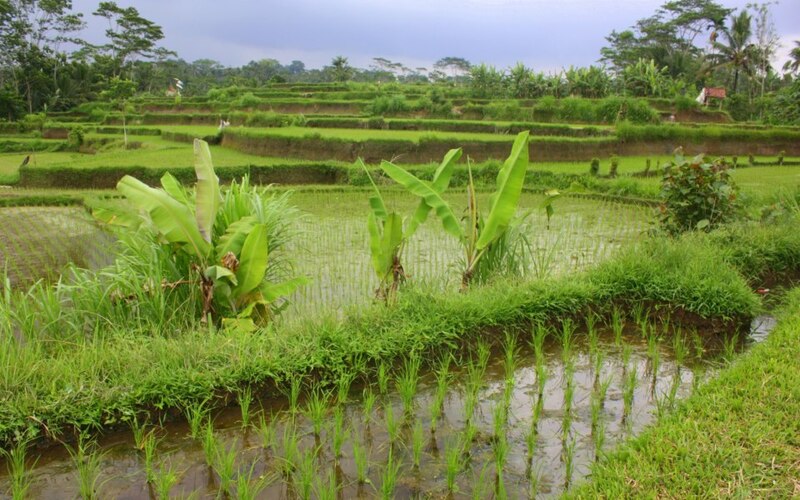 Until recently, most Balinese lived in farming villages, only rarely leaving their communities. 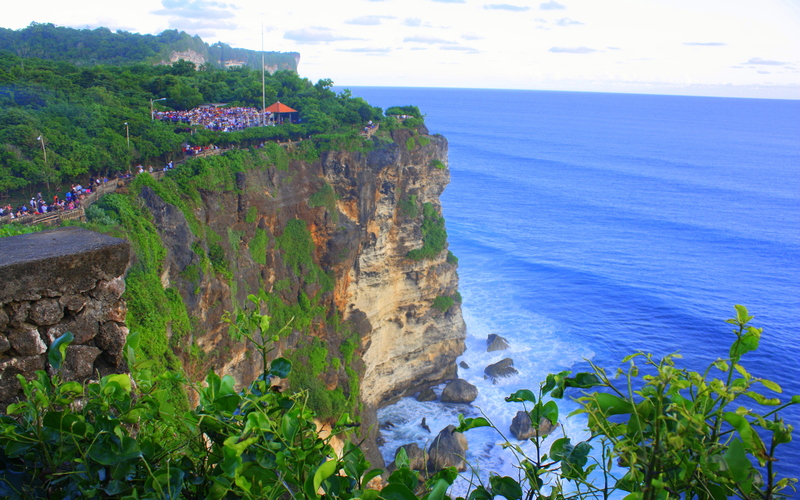 In the last 30 years, Bali has become a hotspot for Western and Asian tourists alike, resulting in many persons migrating to Bali’s capital, Denpasar, to work in the tourism industry. While there are pros and cons to rapid expansion of the tourism industry, I am not here to debate that. However, one result of this industry’s expansion was an increase in personal income and personal mobility. Unfortunately, the government did not initially invest in a strong public transport system to address this need. This was perhaps due to lack of resources, or lack of incentive, or a combination of the two. 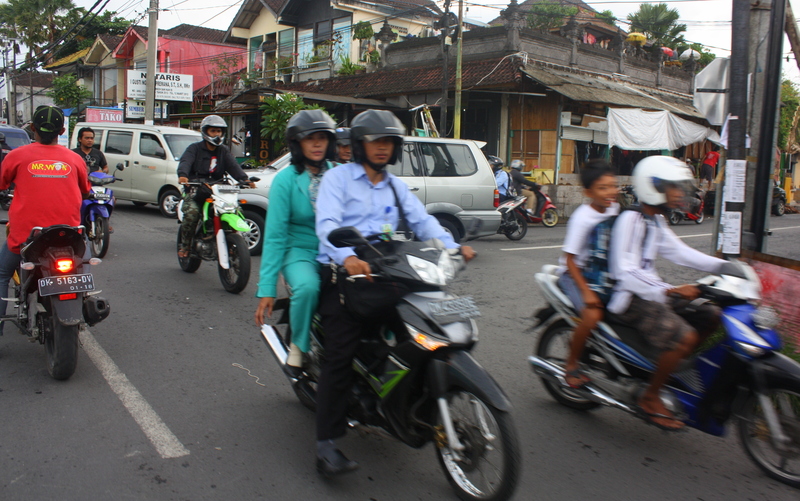 Either way, without good public transport, most Balinese invested in motorcycles. 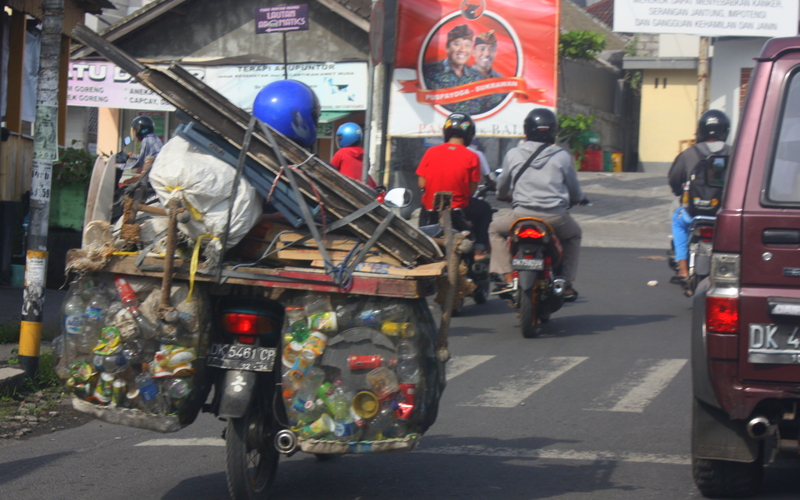 According to some of the Balinese I spoke to, it is not uncommon for a middle-income family of 4 to have 2 or 3 motorcycles. Since roads are narrow – and cars are expensive – the motorcycle is the preferred transport method. 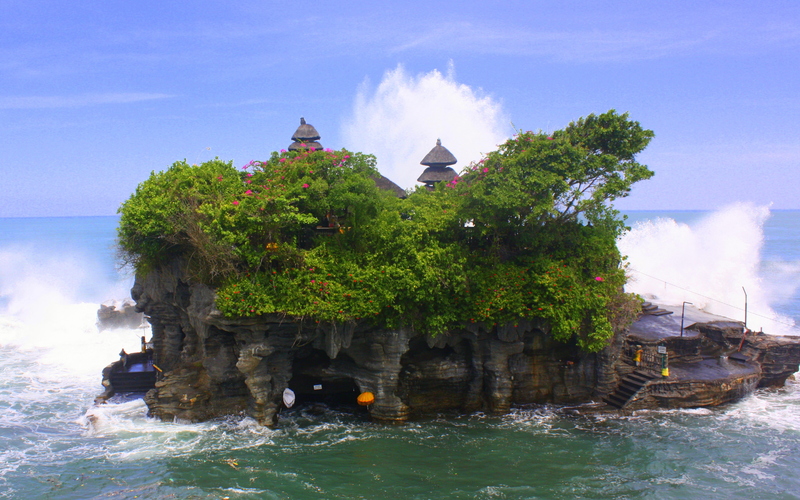 Certainly they are a lot of fun; and near the touristic parts of the island it is also common to see surfers – Western or Balinese – merging in and out of traffic, surfboard in tow. However, as a result of all of this weaving, traffic is unbearable. Several times I saw pedestrians pass our vehicle! However, pedestrians have to be careful – it is not uncommon for motorcycles to hop on the sidewalks to cut in front of each other. In addition to the frustration of endless traffic, it is quite unsafe. 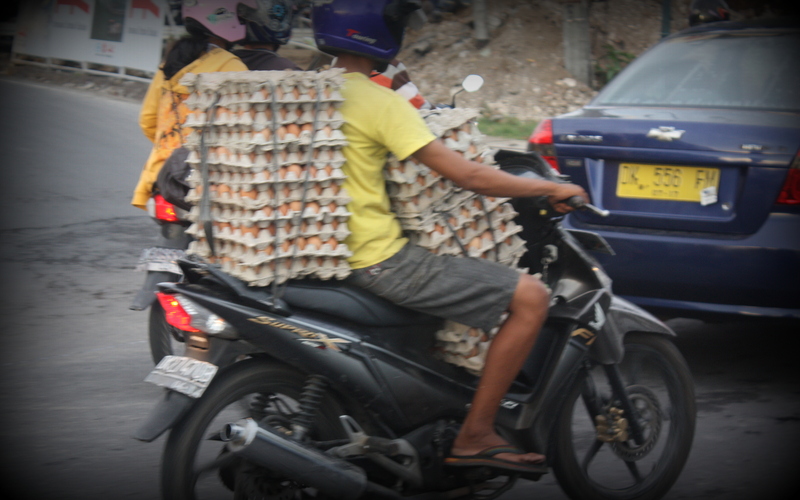 Parents carrying young children, or couriers packing their motorcycles to capacity, weave between lanes. 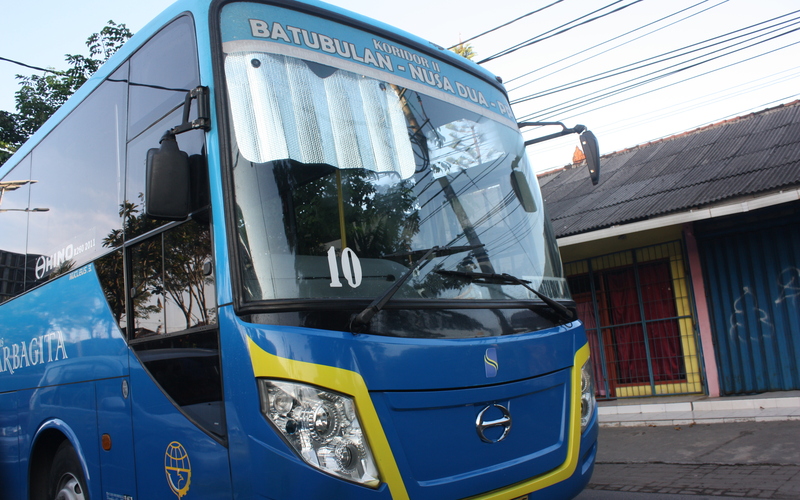 Meanwhile, Bali has become an increasingly popular place also for over-sized tour buses (larger than the roads on Bali) which pummel down Bali’s narrow roadways. All and all, while I certainly enjoyed my stay, this intense traffic congestion stuck as a memory of the island – I was more than 2 hours late for a dinner with colleagues, despite leaving early, and I almost missed my plane! While perhaps too-little too-late, the government has introduced a subsidized public transport system in the last 5 years. While rail transport would not make sense on a small island, buses do. And they are fairly priced, especially for students. However, challenges remain. As my chauffeur told me, there is limited incentive for Balinese to hop on the bus which until now has only limited routes, when they have a motorcycle that will take them where they need to go. 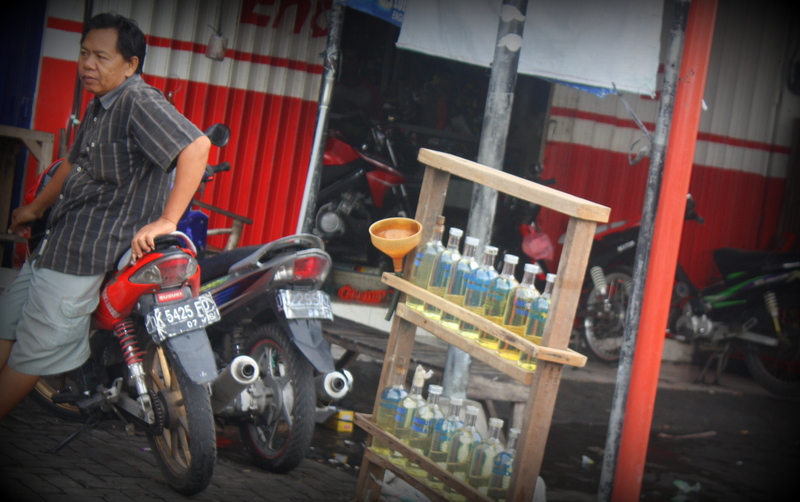 With petrol subsidized, motorcycles are cheap. 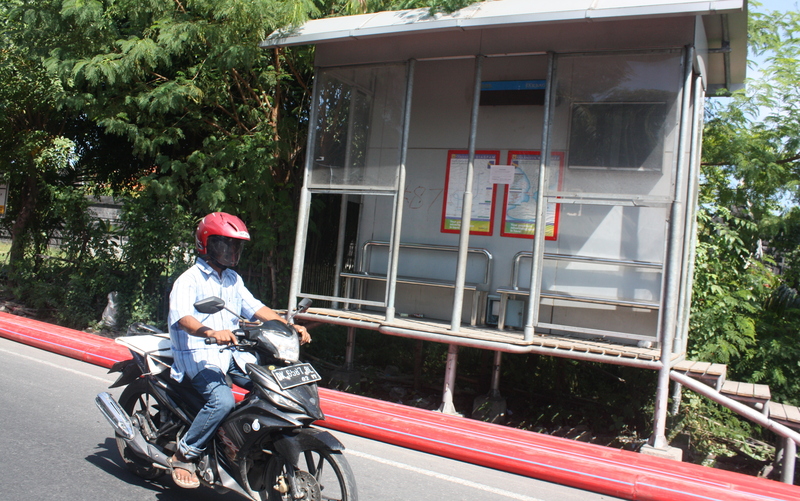 So it becomes a question of time – how much can the bus weave in and out of traffic, compared to a motorcycle? According to him, a public transport network should have been invested in 20 years ago, before motorcycles became so popular. 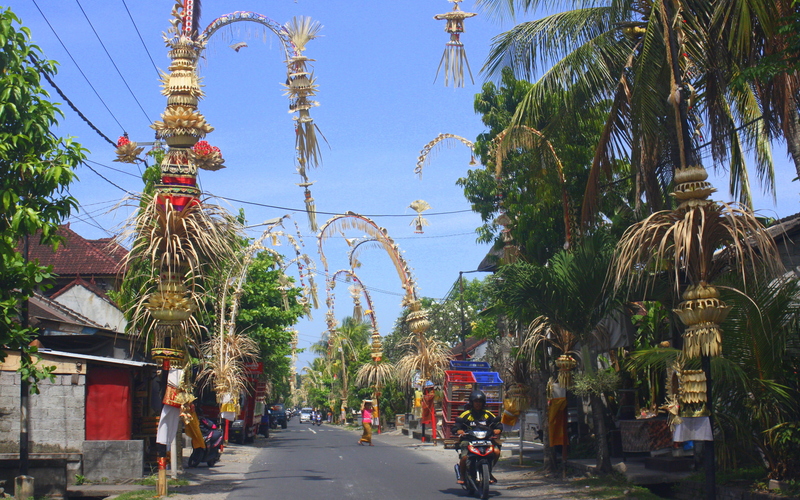 Needless to say, experiencing Balinese traffic made the conference topic that much more appropriate and urgent – and certainly a topic of relevance that expands well beyond the Asian continent. While traffic remains a formidable challenge, I also met several Balinese and Indonesian youth activists at the conference working to expand cycling and walking infrastructure – for recreation, for transport, for safe cycling, for cleaner air and for protection of this beautiful island they call home. They were vocal at the conference; competent, impassioned and hopeful about future change and improved investments in environmentally-sustainable transport systems on their island. I hope they are right.